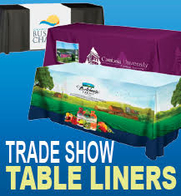 A trade show is an investment in your company, and you should take the time to treat it as such. It may seem simple, but it takes time to develop measurable goals for the show. 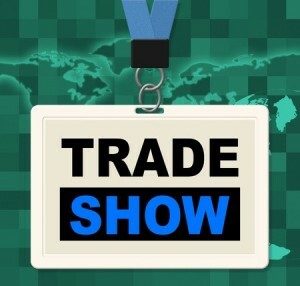 Here are three trade show strategies to help you market your company and maximize your return on investment. Determine Your focus: Will you be launching a new product? Promoti ng brand awareness? Building a fresh leads list? Each of these goals require a unique approach. Research the Show and Its Attendees: Is this the proper venue for what you are trying to achieve? Will this be the right show for you to push retail sales or build business relationships? How many of your direct competitors will also have booths? How will you stand out from them? Be Memorable: Interest creates interest! 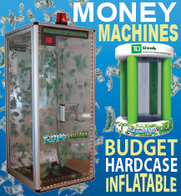 Capture attention by renting a Cash Cube Money Blowing Machine or Bingo Blower. 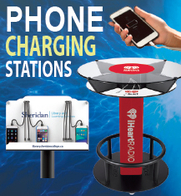 Renting or purchasing a trade show attraction is just a phone call away! 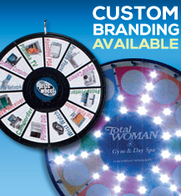 How about some useful custom promotional items? Consider options like custom USB drives, household tools or sports items. Social Media: Once you plan the details your event, get the word out well in advance. 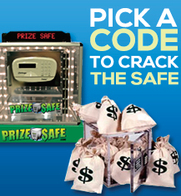 People will be excited to visit your booth for the chance to spin the Prize Wheel or play a custom Scratch Card. 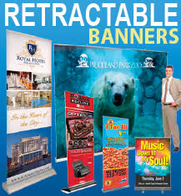 Trade Show Publications: Each show will offer several ways for companies to participate in their printed material. 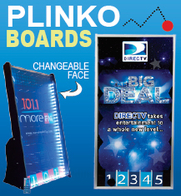 Print a voucher for an extra turn on a Plinko Board to attract people to stop by your booth. 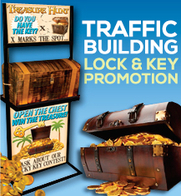 Do a half or full-page color advertisement listing all of the attractions at your booth to ensure guarantee that your booth has a crowd of people waiting to try their hand at attractions like the Prize Safe! Leads, Leads, Leads! : Maximize your social media efforts by collecting relevant information as part of the effort. These generated leads can be turned into appointments booked at the show. Don’t stop there – follow up with leads after the show and offer company consolation prizes for being a valued part of your audience. Staff Accordingly: Whether you are looking for new clients, retail customers or to develop relationships with existing clients, make sure you bring your company’s best! Ensure your staff is aware of your goal for the show so that they can help you achieve it. Assign each booth attendant an area of focus and direct attendees accordingly to keep the booth running smoothly during peak times. Too Much is Better Than Not Enough: Make sure you have enough staff coverage – if traffic is slow any extra employees can be sent home. It’s better to have too many promotional products to giveaway than not enough. There are so many ways to make yourself memorable. 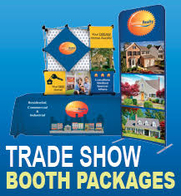 It’s worth the effort to plan in advance and maximize the benefit for your trade show investment! !